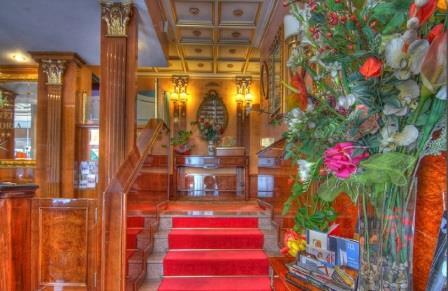 In an extremely privileged location, near the Courthouse, at 100 meters from the bus and tram stops for the airport Milano Linate, the Central station and piazza Duomo, Hotel Vittoria is ideal for business or tourist stays in Milan. 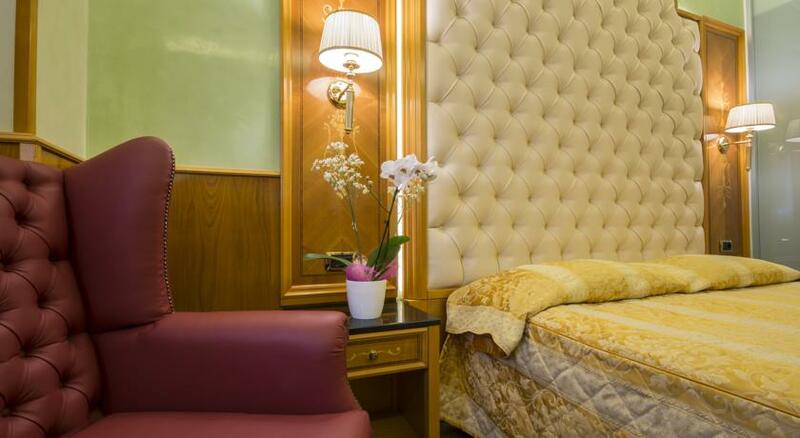 Elegant and carefully furnished rooms, a pleasant garden, two conference rooms, free parking and attached garage as well as all the services of a modern 4-star hotel, make Hotel Vittoria one of the most sought-after hotels in central Milan. The management of the hotel for more than twenty years welcomes guests with family warmth and professionalism at an international level. Valuable paneling, fabrics and furnishings chosen and arranged with the best of taste, provide a truly welcoming atmosphere to the 40 charming rooms of Hotel Vittoria, making it one of the most elegant 4-star hotels in Milan. 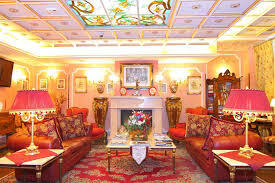 The Classic and Superior rooms have Full HD satellite TV, free Wi-Fi, opening and closing of the door with touch magnetic card, the best orthopedic beds and home automation system with touch panel for controlling the heating/air conditioning and to get information regarding the weather and the main events in the city. In every room: telephone, refrigerated bar, safe; private bath with shower or tub, hairdryer and courtesy kit. 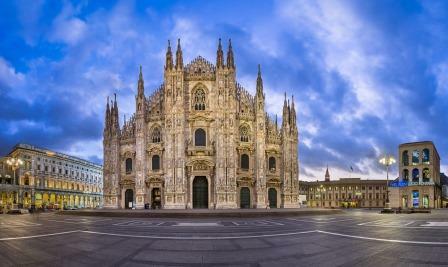 A few places to visit in Milan. Within walking distance from the Duomo, along the car-free shopping avenue of the Via Dante, lies the impressive castle of the Renaissance Sforzesco family that once ruled Milan. It now hosts a collection of civic museums and offers access to the large Sempione park. Meandering through the courtyards, you can admire the architecture and pop into different museums that exhibit, among others, Michelangelo’s Rondanini Pietà, Mantenga’s and boast ceilings painted according to designs by Leonardo da Vinci. The castle is worth a visit even in you are not going to the museums. This 18th century glass and iron covered gallery is home to many beautiful shops, restaurants and cafes. Look up to see the magnificent central dome. Look down to see the emblems on the mosaic floor representing the cities of Milan, Rome, Florence and Turin. If you want to return to Milan you are supposed to place your heel on the emblem of Turin, the bull, and rotate clockwise. It’s an easy walk from the Duomo, through the Galleria and on to La Scala, Milan’s famous opera house which opened in 1778. Here some of the world’s best singers and orchestras can be heard and famous ballets seen. If you cannot book tickets to one of the performances, a visit to the Museo Teatrale alla Scala, Museum, also includes a visit to one of the boxes where you can look down on the stage. Visit the The Great Synagogue that is on 19 Guastalla. Take the Malpensa Express train and get off at the Cadorna station. From here you will arrive at Via Carducci, corner Largo d’ Ancona, and take tram n. 27 in the direction of Viale Ungheria and get off after approximately 20 minutes at Corso XXII marzo/piazza Santa Maria del Suffragio. Cross the road and enter via Pietro Calvi. 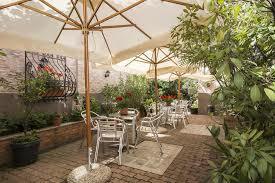 You have arrived, Hotel Vittoria is at n. 32. 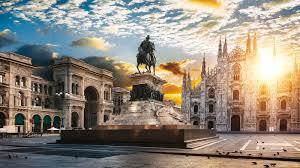 From piazza Duca d׳Aosta, in front of the Central station of Milan, take bus 60 in the direction of San Babila and get off after approximately a quarter of an hour at piazza Santa Maria del Suffragio. 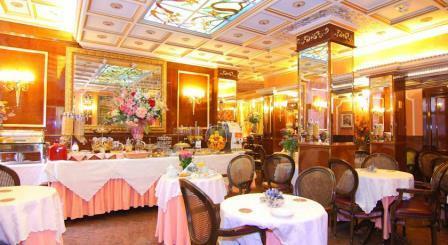 Hotel Vittoria is 150 meters away. Keep the right and head down Corso XXII marzo in the direction of Piazza Cinque Giornate. Turn on the first right, via Pietro Calvi, and continue to number 32: you have arrived at the hotel.